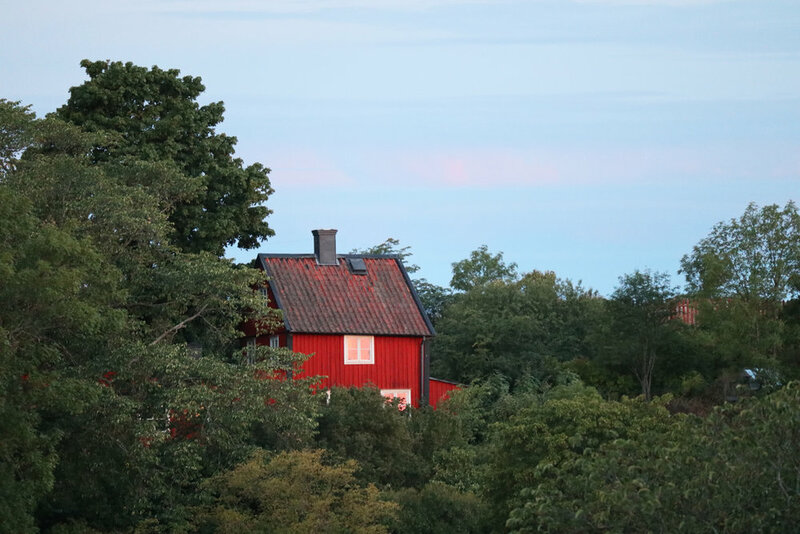 This is one of the beautiful images one can look out and see from the Stockholm, Sweden, Airbnb we're staying at right now. This is one of the beautiful routes home to it—the route that provides momentary shade (in this nearly ninety-degree heatwave we're having). After walking throughout Stockholm's stunning cobblestone city each day, then walking across a couple open bodies of water and their bridges, then hiking up and down a few hills, then climbing 80 indoor stairs, I reach its little rooftop attic and breathlessly collapse. It's warm and cozy—like staying in your favorite aunt's attic. And my favorite indoor feature, the whitewashed chimney, makes me smile every time.